Oh, no, here we go again. More Halladay in the news. Now he says he won’t accept an offer once spring training starts. That means one thing: He must REALLY want out of Toronto. I think Halladay knows at this point that offers are going to come his way, but this little outcry is just a scheme to get teams on their toes quickly, or at least I think it is. But what this does for me is it scares me. Time and time again I pray on this blog that at the start of the 2010 season, Austin Jackson and Jesus Montero will be within the Yankees reach. Of course, that means that Halladay won’t be on the team. 47% of you said in a poll that you would not give up valuable prospects for Roy Halladay. That’s not enough of you. But what matters is what’s in the mind of Brian Cashman. Here is how I see it. I said yesterday that the Yankees need a starting pitcher. Cashman knows that, and is most definitely looking at Halladay as one of his options. That of course, does not help me. What it comes down to is this: Would you rather see Roy Halladay, an already proven pitcher, come to New York and dominate for a couple of years, or would you rather have the joy of experiencing the thrill of watching a potential hall of famer break into the big leagues? Cashman wants to win, so do Yankee fans. But, we won it without Halladay, and we can do it again. 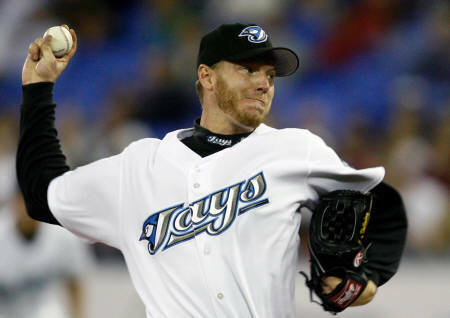 According to a report on MLB.com, Blue Jays ace, Roy Halladay has said that he will not resign with the Blue Jays come the end of next season. 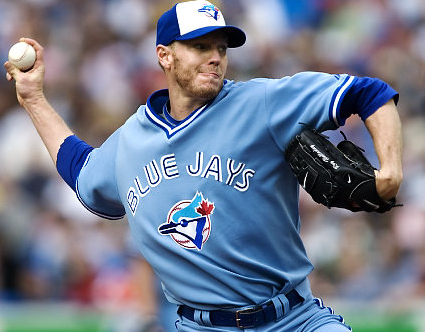 The Blue Jays, while discussing a possible three-way deal with the Cubs, reportedly said that they would like to trade Halladay this offseason. Earlier, I stated that I would not like the Yankees to pursue Roy Halladay. If the Yankees decide to trade for him, they will be giving up very valuable porspects. 63% of you said in a poll that you would not trade away valuable prospects for Roy Halladay (now taking new results below). The fact that he will be a free agent next season makes this a lot easier. To me, I don’t care whether the Yankees get him or not, I just don’t want it to be at the expense of their future stars.